We use the latest technology to provide you with Online Status 24 hours a day, 7 days a week! At Compass Investigations, we know how important it is for lawyers to be sure that effective and timely service of process has taken place. If there’s an issue you need investigated, you have to be sure that the information you receive is highly accurate, detailed, and verified. Hiring a private investigator specializing in surveillance is a vital first step to ensuring that you have all the necessary and relevant information at your disposal. Compass Investigations offer comprehensive asset search services to ensure that you have all the information you need to get the judgment you desire. 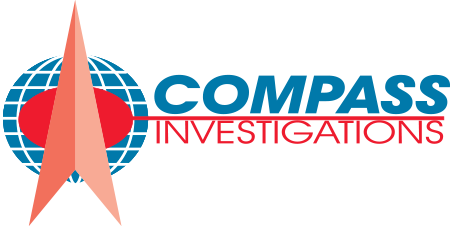 At Compass Investigations, we provide comprehensive skip tracing and locate services, ensuring that even the most elusive people are found. Our dedicated court runners are known for their attention to detail, professionalism and timely service delivery. "I have known John Van Steenkiste for over 30 years as both a friend and business professional with Compass Investigations. John Van Steenkiste is responsible and honors his commitments both in business as well as his private life. John Van Steenkiste is responsible and honors his commitments both in business as well as his private life. I am a retired Homicide Investigator, previously with Miami-Dade County, and hold John Van Steenkiste in the highest regards." "I have known John Van Steenkiste since August 1980, when we became friends. I learned quickly that John Van Steenkiste was a thoughtful, highly regarded and very successful person who earned the admiration of people that were fortunate enough to work with him. John Van Steenkiste possesses great integrity, compassion, honesty and responsibility. Personally, I would trust John Van Steenkiste with any issue, whether professional or personal." "I have known John Van Steenkiste for over 25 years. John was introduced to me as a serious, honest and ethical man who was one of the top in his field. John has always shown himself to be diligent, honest and knowledgeable in his field. John is also a fine individual. I heartily recommend John to anyone seeking investigative work or process service."